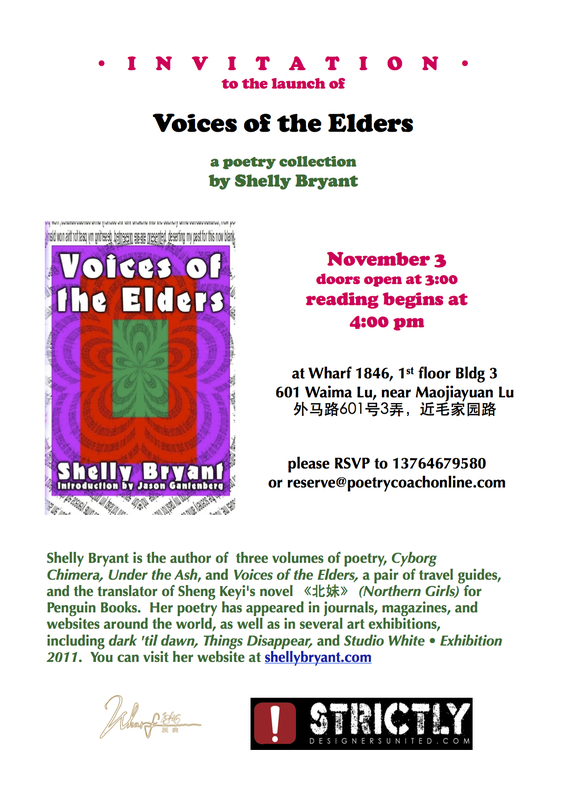 Voices of the Elders will be launched in Shanghai on November 3. The event will be held at Wharf 1846, at 601 Waima Lu. The reading will begin at 4pm. Feel free to come and bring your friends. The event is open to everyone.